Make the most of your time! Dr. Ramos’ natural blend of 10 medicinal herbs is a powerful longevity complex that supports a healthy lifestyle. You and your family will love the benefits of Time! 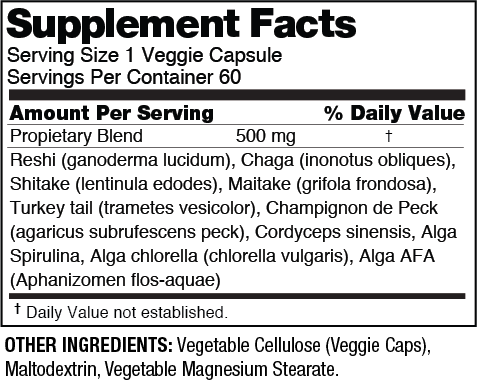 Proprietary blend of medicinal mushrooms and algae. Suggested Use: Take 1 capsule 2 times a day with food or as directed by a health care professional. Ganoderma lucidum(Reishi): Ganoderma lucidum (Reishi) is one of the oldest mushrooms known to be used medicinally by humans. It is highly prized as a major tonic in Chinese herbalism, with a powerful broad spectrum of health benefits. Often referred to as “the mushroom of immortality”, it has been valued as a longevity herb in Asian cultures for over 2,000 years*. Siberian Chaga: Siberian Chaga mushrooms are a dense powerhouse of vitamins, minerals, sterols, melanins, and antioxidants. Chaga mushroom’s helps promote a healthy immune system due to the amount and different types of antioxidants contained within. 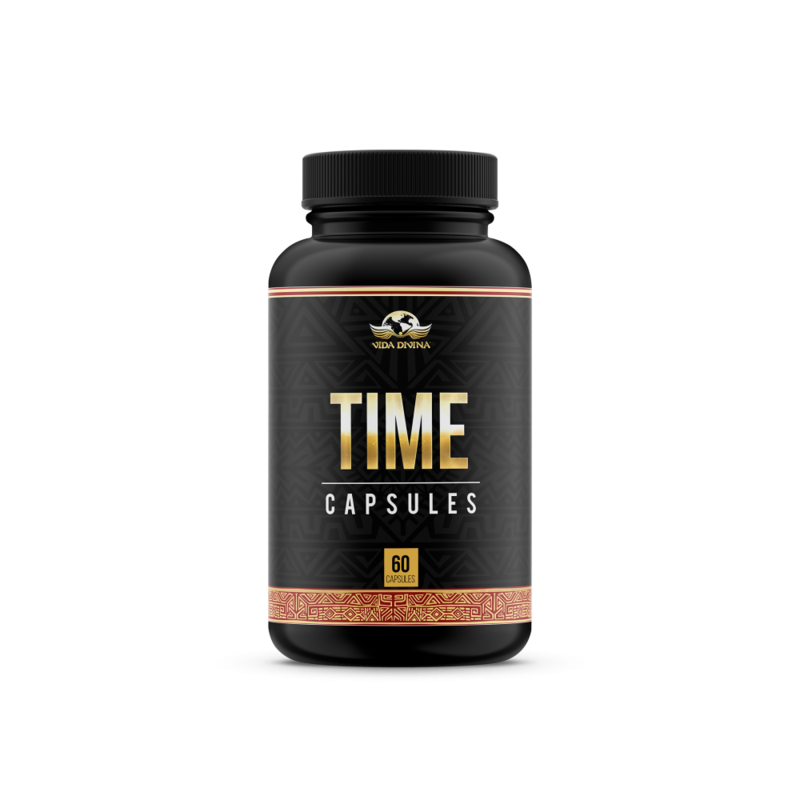 By breaking down the Chaga mushroom and extracting its constituents, it is possible to make a potent immune health concentrate that can be used daily to build your immune health potential*. Cordyceps Sinensis: The name Cordyceps describes a genus of fungi that includes more than 400 unique species of parasitic types. Fungi are an essential part of many ecosystems, but this particular genus has a great deal of importance as it has been traditionally used in herbal medicine for centuries*.